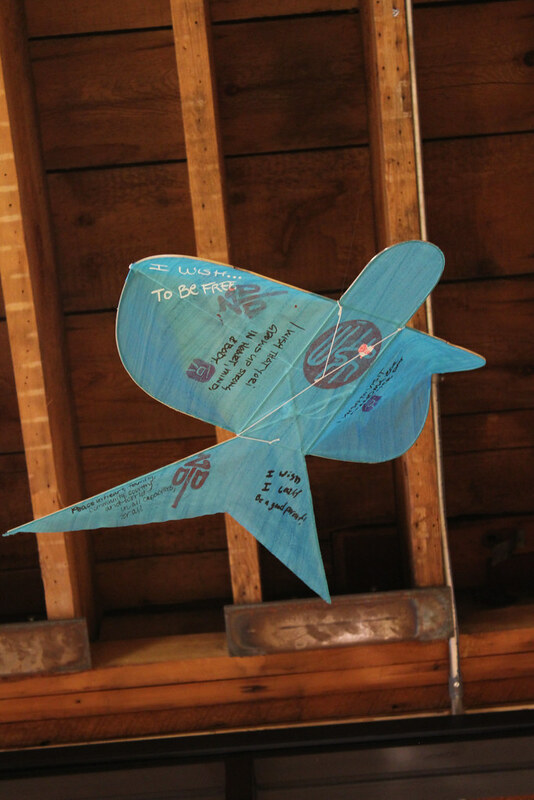 “Wishes for the Sky” was a free, experiential, public art event celebrating the arrival of spring, environmental sustainability, and personal and collective wish-making. 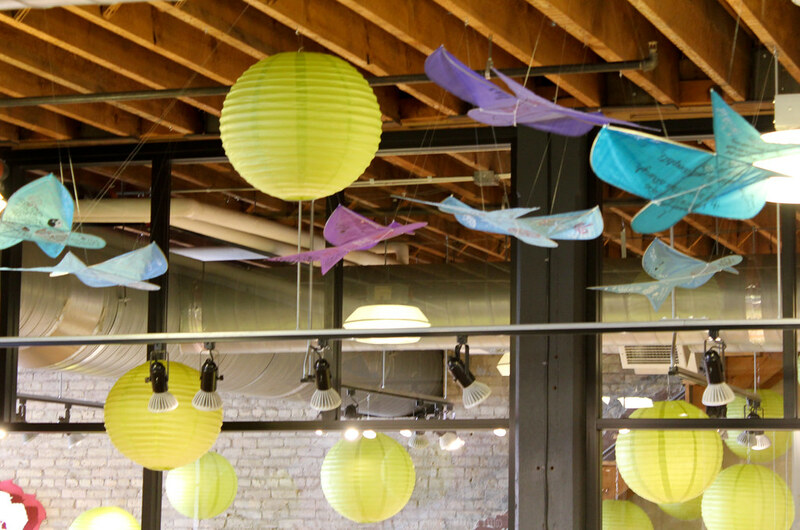 This one-of-a-kind art project has become a signature Earth Day event for the Twin Cities. 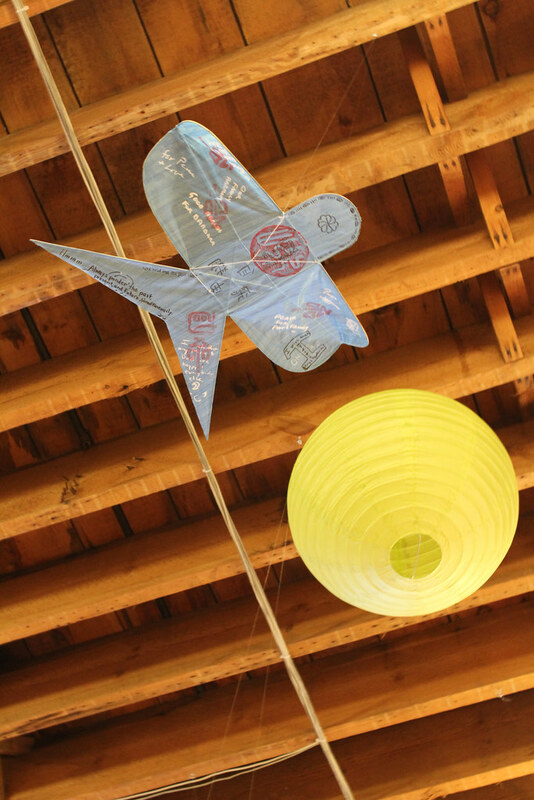 Inspired by the ancient Asian traditions of flying wishes on kites, it was a contemporary art event integrating music, temporary sculpture, poetry, interactive sound collage, visual art, and public kite-flying. 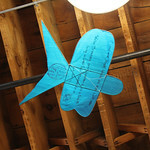 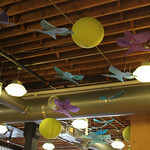 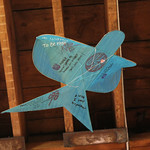 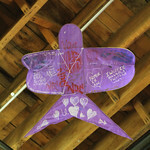 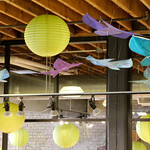 Beautiful kites from the 2012 Wishes for the Sky event in St. Paul were exhibited overhead in the Open Book lobby, sharing wishes with all visitors. 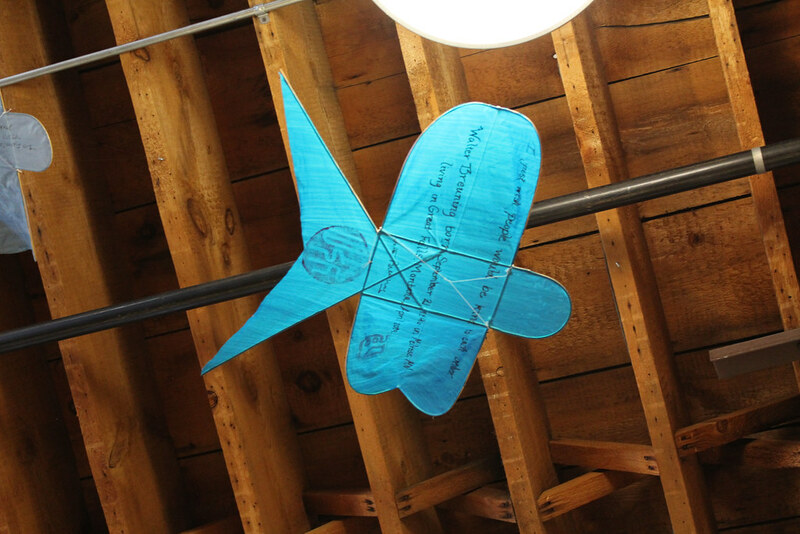 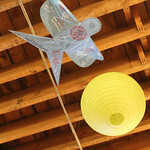 “Wishes for the Sky” was part of the Harukaze Festival of Japanese Book and Paper Arts — a coordinated exhibition between Minnesota Center for Book Arts and the Japan America Society of Minnesota (JASM). 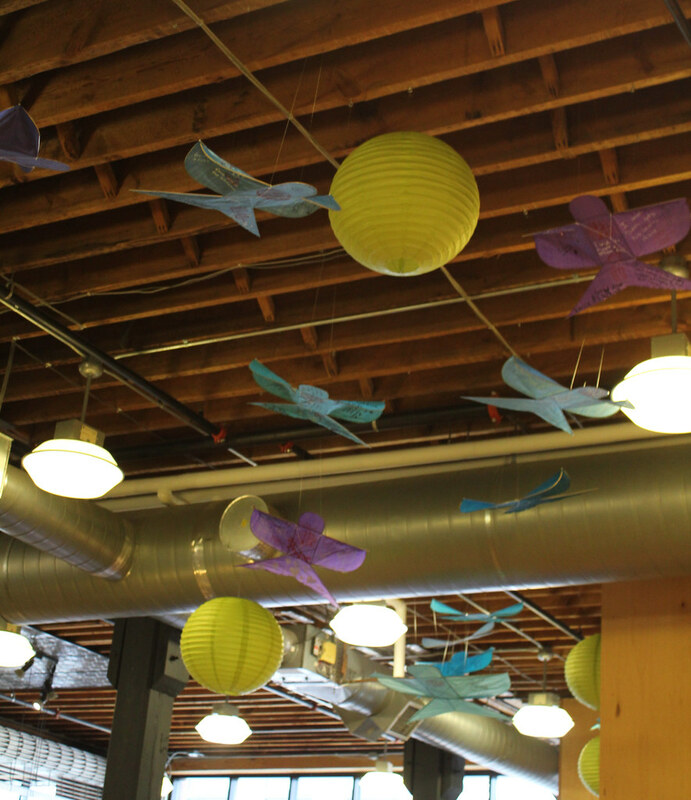 The Harukaze (“spring wind”) Festival welcomed hundreds of visitors to a day-long community open house with hands-on artmaking activities for youth and adults; professional artist demonstrations of traditional Japanese art forms; and three terrific exhibitions of artwork that reflected the contemporary use and evolution of traditional Japanese artistic practices.